Here are some fabulous green inspirations! Green is such an amazing color and rarely gets the attention it deserves. We recall a certain quote from a certain frog "It's not easy being green." Well, no more my friends! It's time to be green and proud! 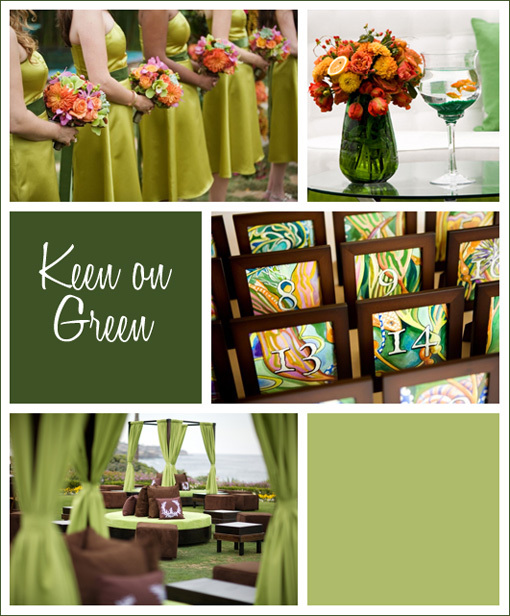 Green is a feel-good color and can be incorporated in so many wonderful ways! We LOVE the fish in the green rocks!